As we continue our NAIDOC Celebrations, we pay special mention of NAISDA graduate, choreographer and independent artist, Vicki Van Hout. Vicki has Wiradjuri, Dutch, Scottish and Afghan heritage and has been long admired in the arts world for pushing the boundaries. Amongst her many career highlights, Vicki performed with Bangarra Dance Theatre in the groundbreaking work, ‘Ochres’ and with AIDT The Company in ‘Edge of the Sacred’. She has choreographed work for ATYP, Pulse8, NAISDA, WAAPA, The Helpmann Awards and Quantum Leap and currently teaches Contemporary Dance at NAISDA. Vicki is a fiercely independent artist who dances, choreographs, mentors, directs and designs. Her body of work is extraordinary and forges the path for all to follow. 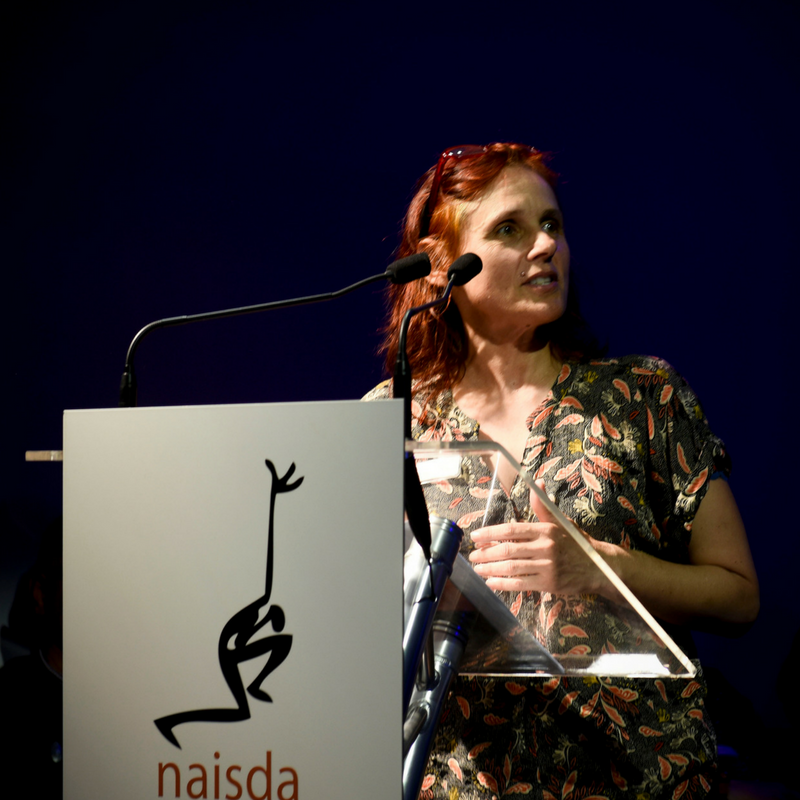 We would like to share a very special poem that Vicki penned about NAISDA called The Legacy, which was published during our 40th anniversary celebrations in 2016. This piece beautifully captures the essence of NAISDA, it’s history and the wonderful people who are contributing to its bright future. a place on the map for us. With our own spirits to guide us. Front … and … centre. Announcing that we too are here. And will always be here. and our custodial connection to it. to speak of stolen children. And they cried too in quiet. and that of no other. Like the stars in the galaxy. who sees from the other side.